Click on a picture to view an enlarged image. 9643061841 Falsafi, Amir Ahmad. 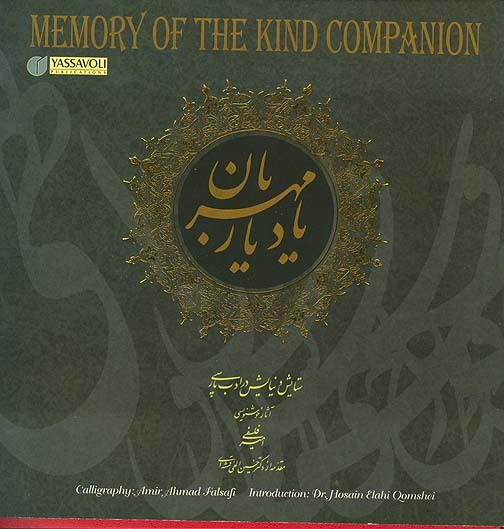 Yad-i yar-i mihraban/Memory of the Kind Companion. 70 pages, 23 cm. 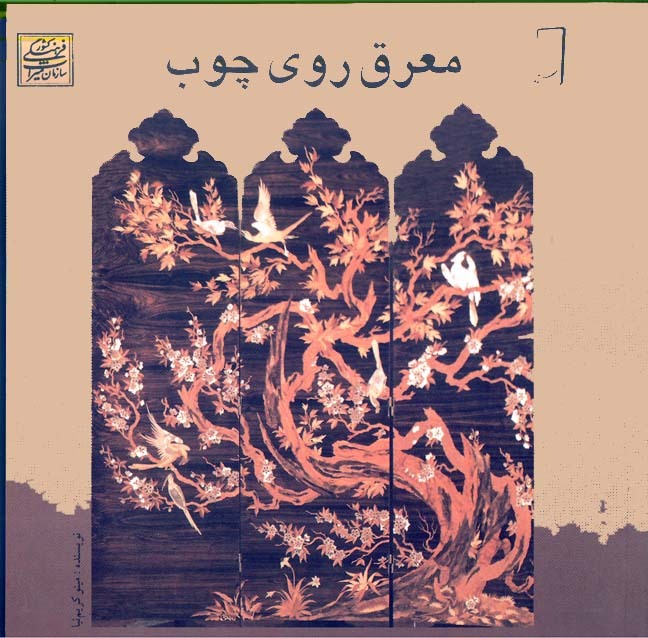 A selection of Persian calligraphy features Falsafi's artwork with the verse - in Persian and English - printed next to each work. 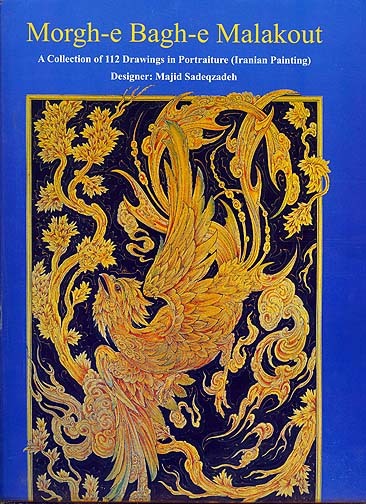 An introduction to the art of Persian calligraphy as well as spiritual poetry. Tehran: Yassavoli, 2000. Hardcover w/dust jacket. 9645520959 Farshchian, Mahmoud. 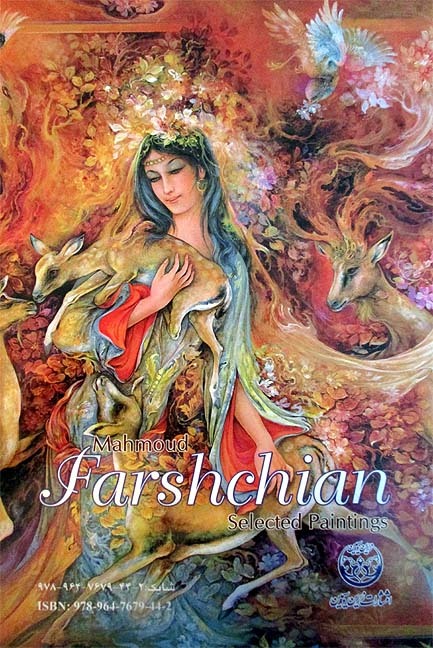 Selected Paintings of Mahmoud Farshchian. 70 pages, 34 cm. 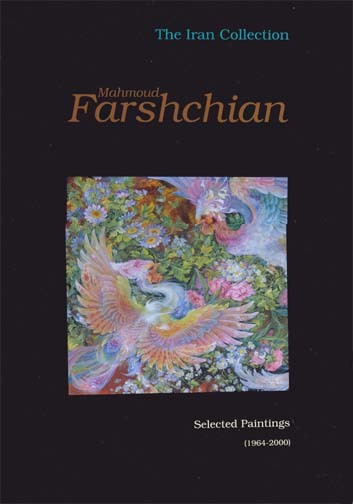 This collection of Farshchian's works includes not only some of his best-loved works, but also a series of black-and-white drawings. 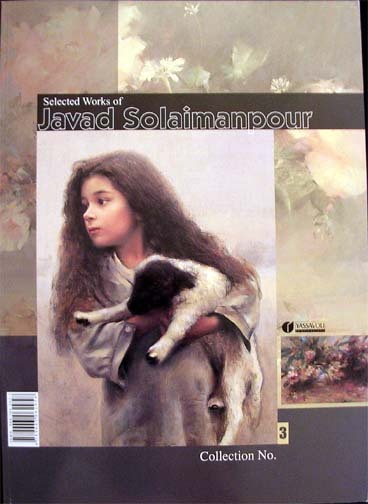 Includes introductory material, tables of contents and painting titles in both Persian and in English. 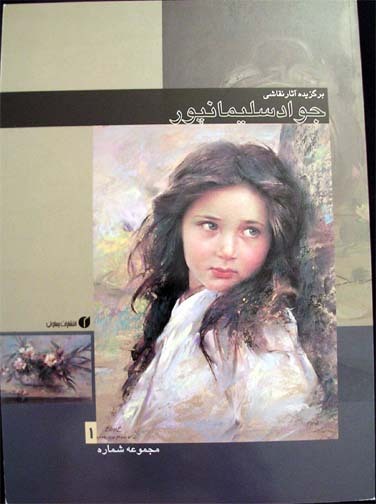 Tehran: Negar Books, 2006. Hardcover with dust jacket. Limited Edition. Cick here for sample pictures. 9645520657 Farshchian, Mahmoud. Selected Paintings of Mahmoud Farshchian. 57 pages, 24 cm. 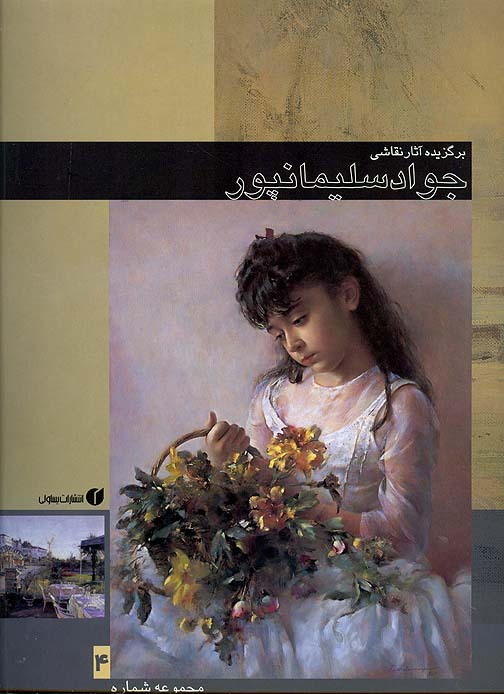 This edition is somewhat smaller than the one above, but is also published by Negar Books of Tehran in 2005. 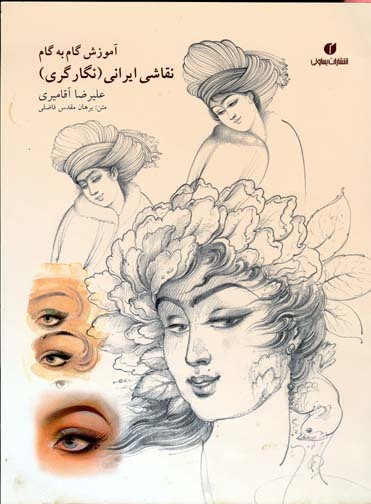 Includes introductory material, tables of contents and painting titles in both Persian and in English. Hardcover. Limited Edition. Click here for sample pages. 9647679068 Farshchian, Mahmoud. 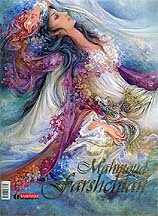 Selected Paintings of Mahmoud Farshchian. 60 pages, 24 cm. 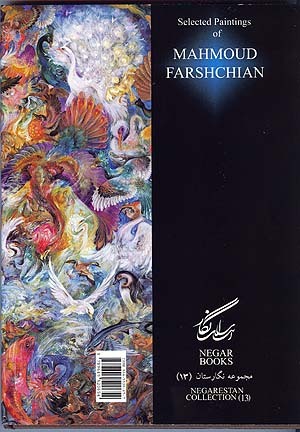 A collection of 40 well-known Farshchian paintings. 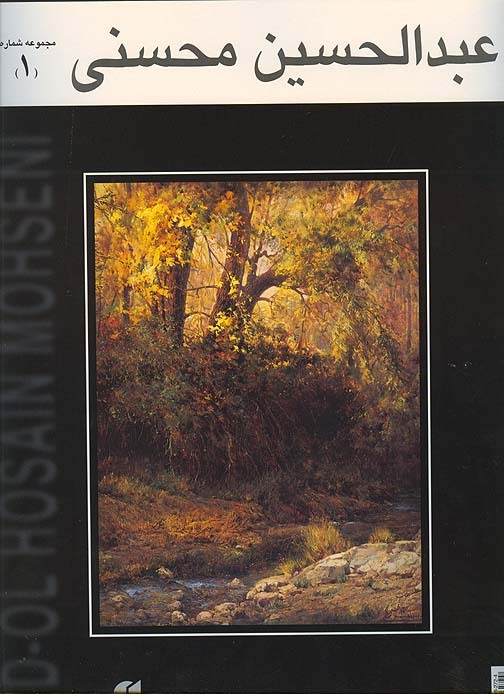 Includes introductory material and painting titles in Persian and English. Tehran: Zarrin-o Simin, 2007. Hardcover. Limited Edition. 9789647679442 Farshchian, Mahmoud. 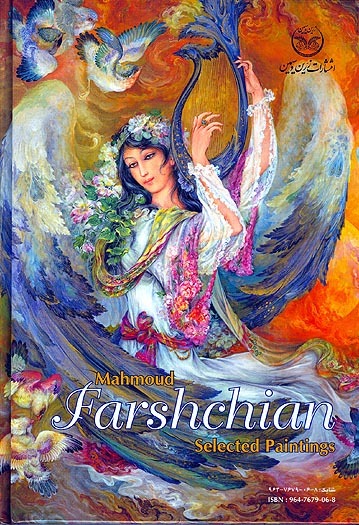 Selected Paintings of Mahmoud Farshchian. 107 pages, 24 cm. 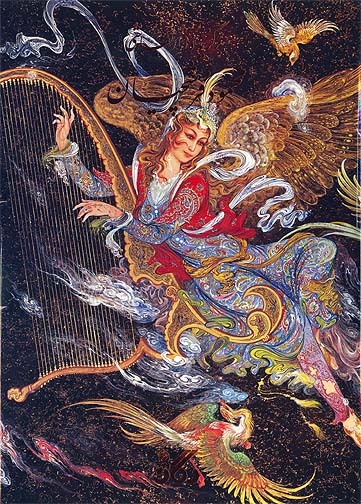 A collection of well-known Farshchian paintings. 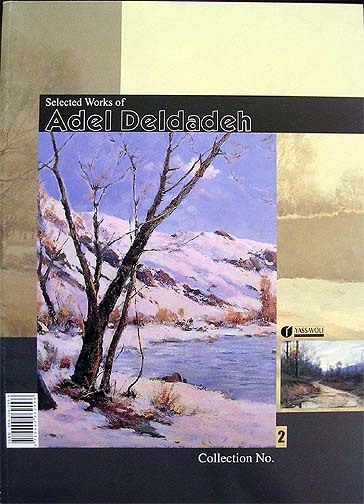 Includes introductory material and painting titles in Persian and English. 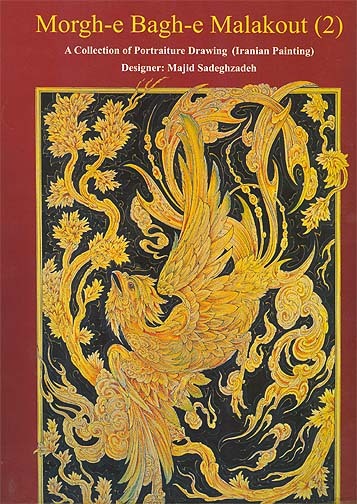 Tehran: Zarrin-o Simin, 2017. Hardcover with slipcase. 4th Edition. Click here for contents. Ferrier, R.W., ed. 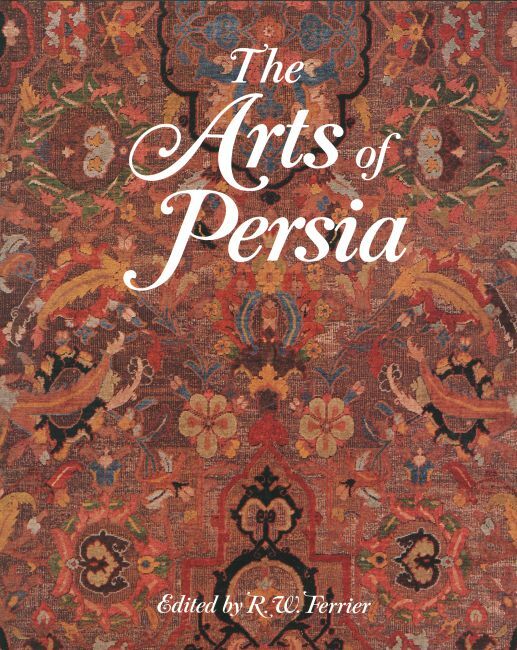 The Arts of Persia. 344 pages, 31 cm. 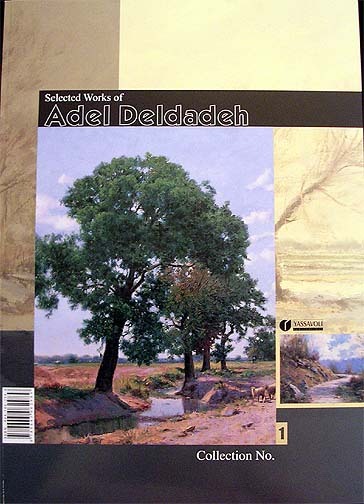 The handsome book, which includes 250 B&W and 170 color illustrations, represents a distinguished and highly readable contribution to the history of the fine and applied arts. The twenty international experts who have contributed to this volume offer a detailed analysis of their various subjects whole also relating them to the political and economic issues of the time. 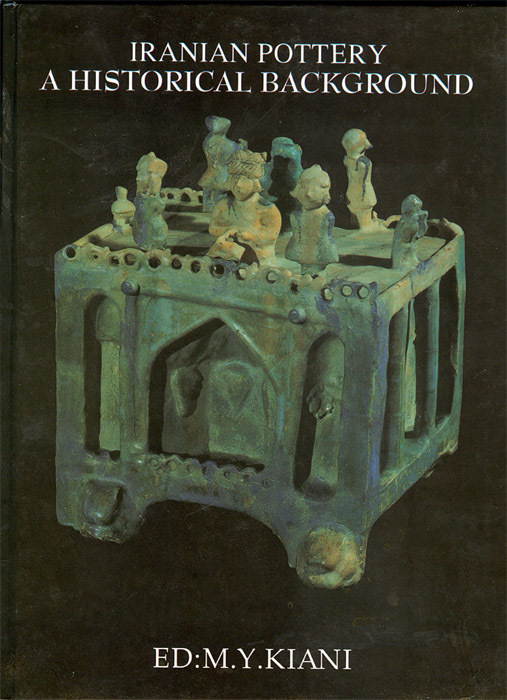 The book begins with a cultural and historical survey through the centuries, providing a context within which to discuss the arts. 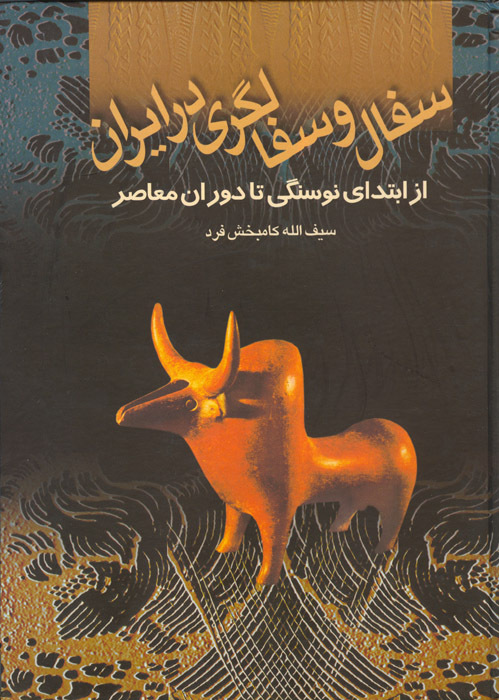 It then deals with the pre-Islamic era, from 7000 BC through the prehistoric period to the court art of the Achaemenians, the buildings, statuary, and stucco of the Parthians, and the rock carvings and silverwork of the Sasanians. 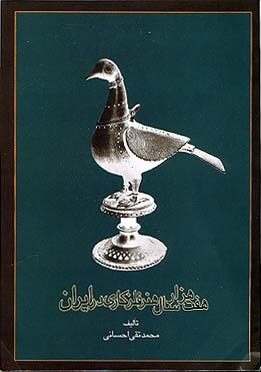 It goes on to discuss the Islamic period, describing a wide range of arts, including architecture, carpets, textiles, metalwork, coins, painting, arts of the book, lacquer work, ceramics, tile work, glass, and calligraphy. 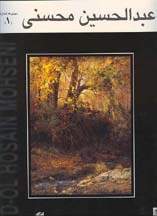 Hardcover with dust jacket; binding seems a bit loose but is intact. Text entirely in English. 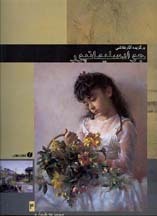 29175408 Shakiba, Hujjatallah. Naqqashiha-yi Shakiba (Shakiba: A Collection of Recent Paintings). 166 pages, col ill, 31 cm. 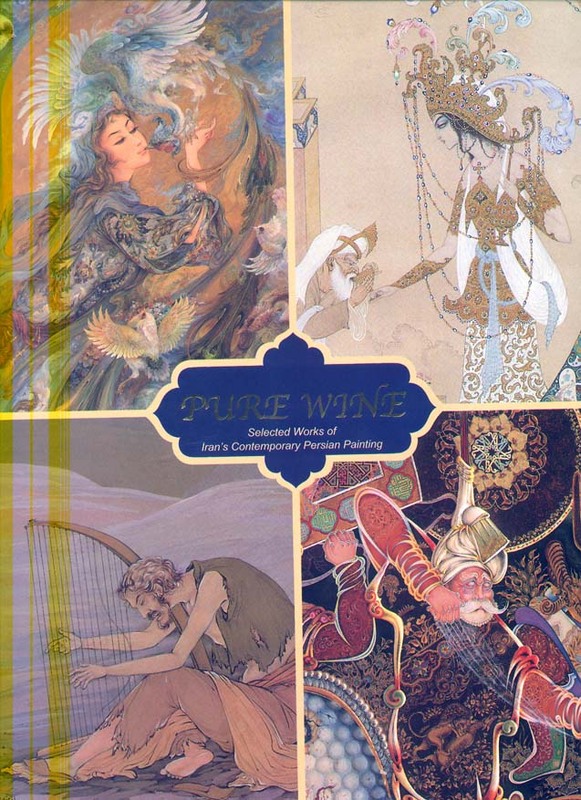 An overview of Shakiba’s best-known works, including many evocative of the Qajar Dynasty. 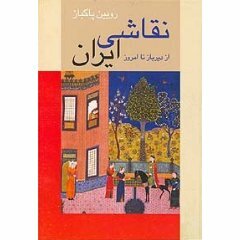 The text is mostly in Persian, with a biography and introduction in English. 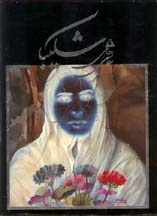 Tehran: Manizhah Nasiri, 1992. Hardcover with dust jacket. No ISBN.